Seneca’s Independent Illustration Diploma is excited to present its 13th Graduate Exhibition. Seneca College’s Illustration program produces a diverse array of talented artists in both digital and traditional mediums. These skills, combined with the entrepreneurial business knowledge gained in the program, produce individuals ready to work in many different specialties in illustration, including comics, indie arts, children’s books, concept art, spot and packaging illustration. 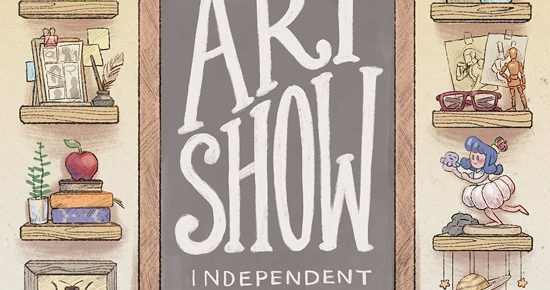 For the 13th grad exhibition running, Aboveground Art Supplies is sponsoring Best in Show awarded during the opening reception. As well, this year the Japanese Paper Place is also sponsoring the exhibit.